It is our firm belief that group numbers should be kept small to offer the best experience. We run workshops and lessons for all standards from the terrified to the keen and competent swimmer. We teach all of the four recognised strokes, either on an individual, small group or workshop basis, whichever suits you best. We also offer Fundamentals of Swimming workshops for beginners or people with a fear of the water and for more competent swimmers who feel they would benefit from going back to the basics of breathing, gliding and working with their natural buoyancy in the water. We are always happy to run workshops on demand. We have other suitable venues at Lancing, Ardingly and Isfield. If you are interested or have a group of friends who might be, please contact us for more information. 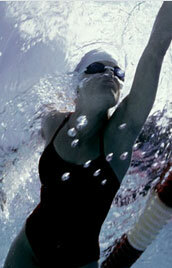 We offer instruction on a 1-to-1 basis at Lewes Leisure Centre, BN7 2XG and Ringmer Community Pool, BN8 5RB. The cost for an individual lesson is £45 for 45 minutes and £60 for 1 hour. We also travel to clients who have their own pool. For more information on the above please contact us . Cancellation policy: Please note that due to pool charges we need at least 24 hours notice should you wish to cancel an individual lesson or the full fee will be levied. For groups, at least 48 hours notice is required. Depending on circumstances, if this notice is duly given, a full refund will be given minus a 10% admin charge.